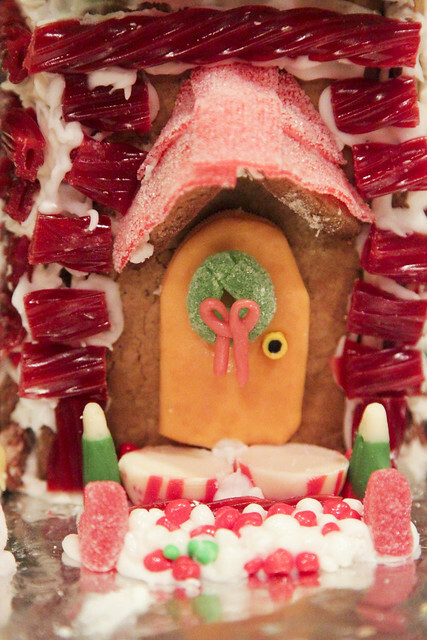 We had so much fun decorating our gingerbread houses last year that we felt we had to fit it in this year. 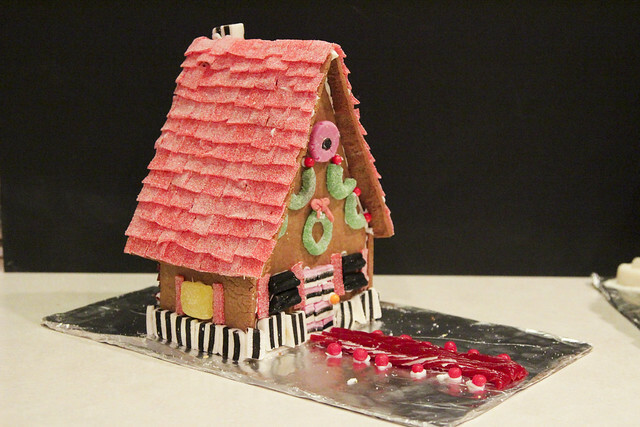 I couldn't find a gingerbread house kit I liked though, so we wound up finding a template online and making our own. It was the only Christmas baking I attempted this year. 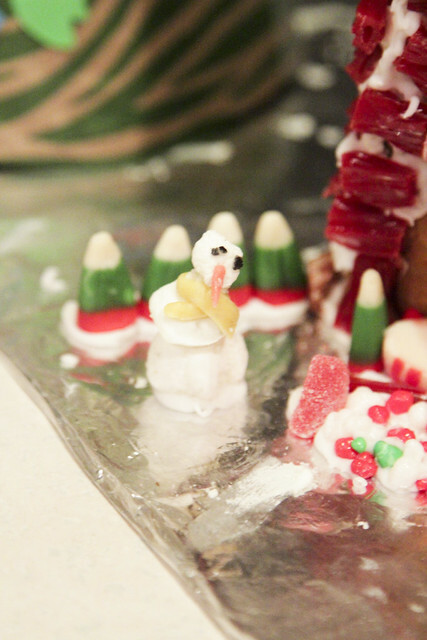 Then we tackled decorating with our usual crazy flair. 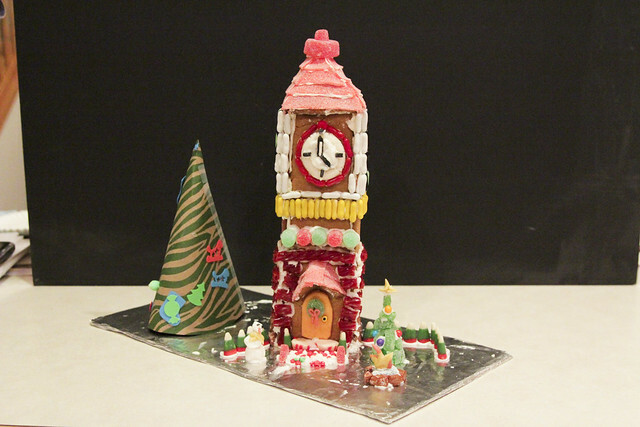 Mr Renn's personal pet project was the clock-tower. 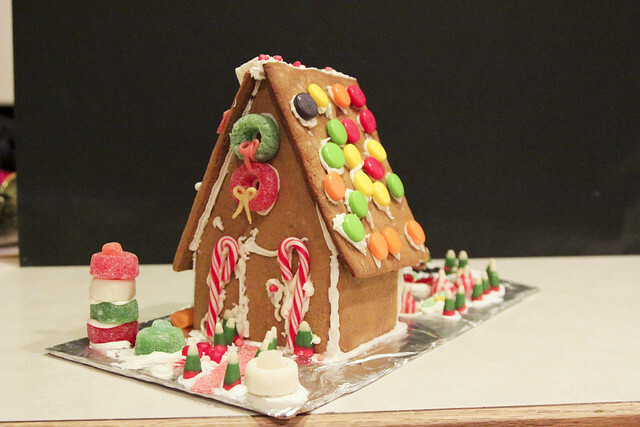 Maybe some year we'll make a whole gingerbread neighborhood, we were halfway there this year!